SB792 mandates SEVEN vaccines - TDap, MMR and Flu - for ALL daycare and preschool workers, including head start, early childhood centers, private school nurseries, and after school programs - WITHOUT personal belief exemptions as a condition of employment. 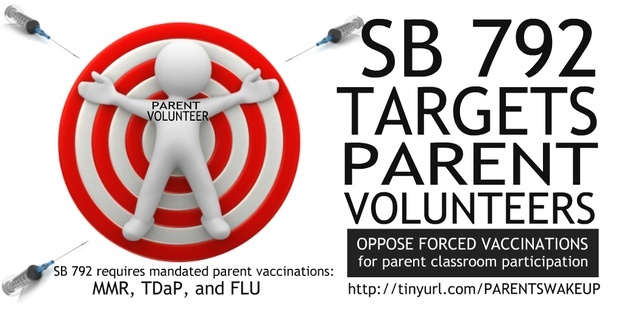 On September 4, 2015, bill author Senator Mendoza added a last minute amendment expanding this vaccine mandate to now include parents who volunteer at their children's daycare facilities including State licensed home based daycare. Pre-schools and even parent co-ops if monies are exchanged will not be exempt from SB792. This new mandate would also apply to head start, early childhood centers and private school nurseries, and after school programs. If you are a parent or grandparent who wants to volunteer your time, talents and skills to benefit your children and their classmates educational experience, you will have to roll up your sleeve or be denied access. SB792 is the FIRST vaccine mandate for adults in the US. CA Assembly Floor Vote is next Monday Aug.31. Call and write to urge a NO voteTODAY! Currently SB792 mandates SEVEN vaccines – DPT, MMR and Flu – for ALL daycare and preschool workers, including home day care providers – WITHOUT personal belief exemptions as a condition of employment. Will YOUR profession be next? In a brazen act of medical tyranny, California recently became the first state in the U.S. to remove religious exemptions to those opposing vaccines for their children. The bill now signed into law, SB277, faces legal hurdles in court next. 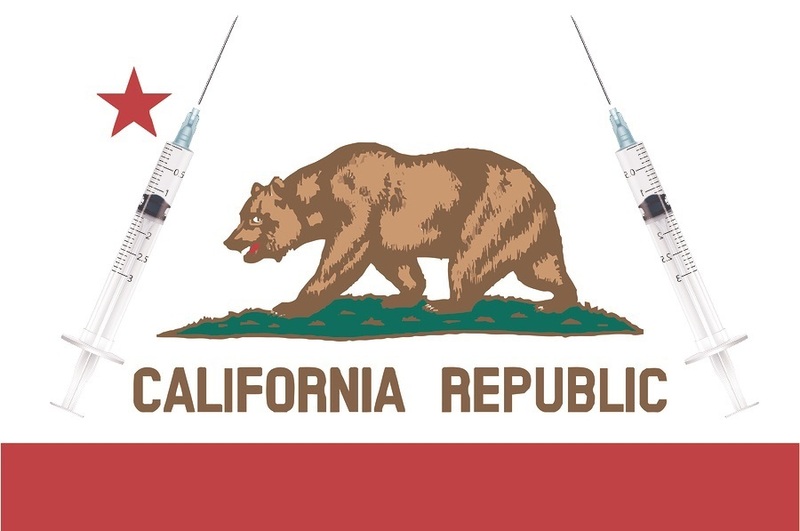 Now, legislators in California want to pass the "first US adult vaccine mandate with NO personal exemptions and CRIMINAL penalties for failure to comply." 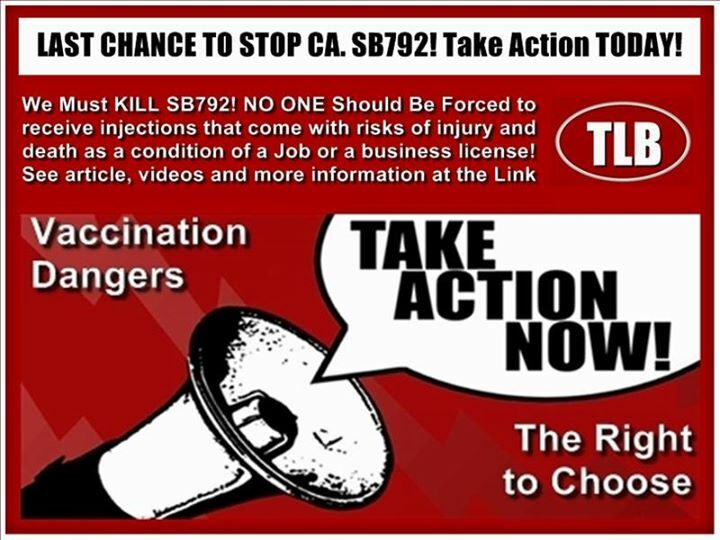 SB 792, would eliminate an adult’s right to exempt themselves from one, some, or all vaccines, a risk-laden medical procedure. Will California soon become a medical police state?